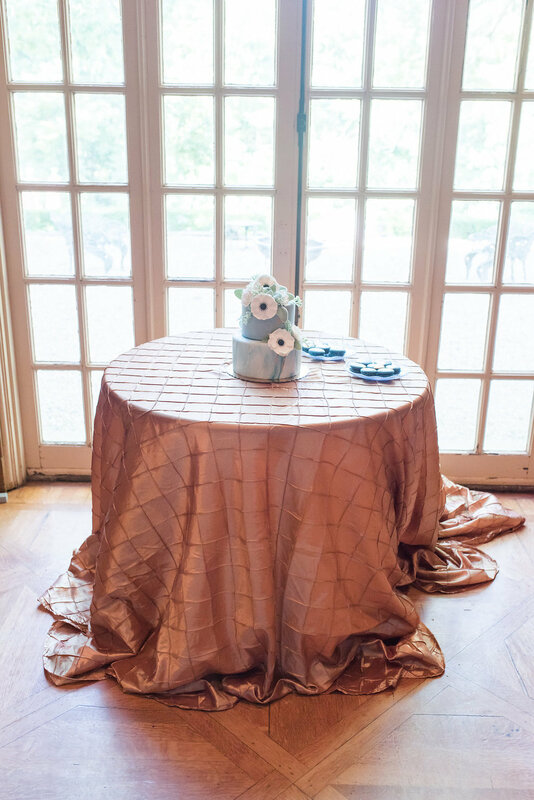 This styled wedding inspiration shoot at the Allerton Mansion (a hidden gem!) 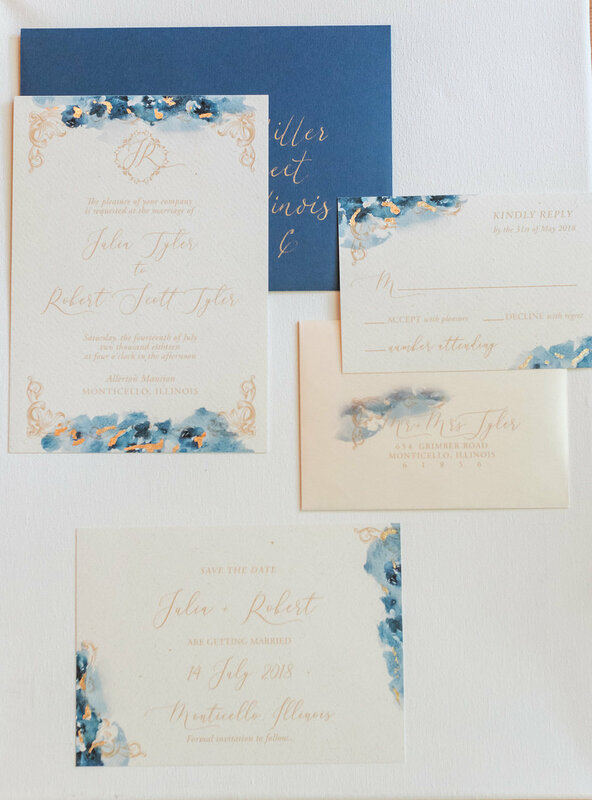 showcases a piece of history - mixing classic elegance with modern day trends. 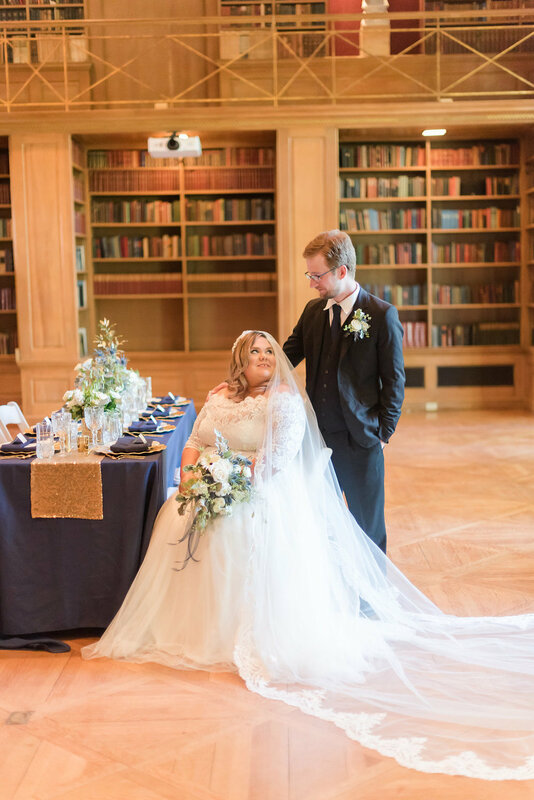 The timeless and elegant building includes a gorgeous library, beautiful outdoor walkways and so much more! 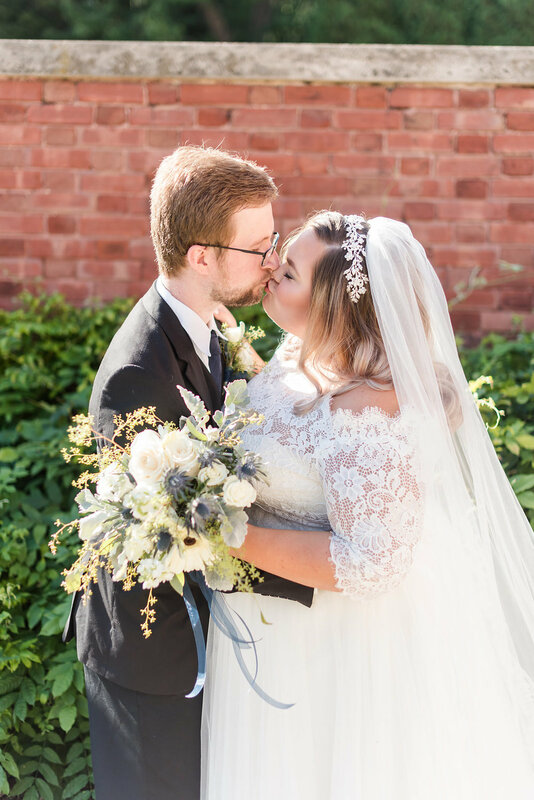 The incredible wedding pro’s that executed this photo shoot did so effortlessly! 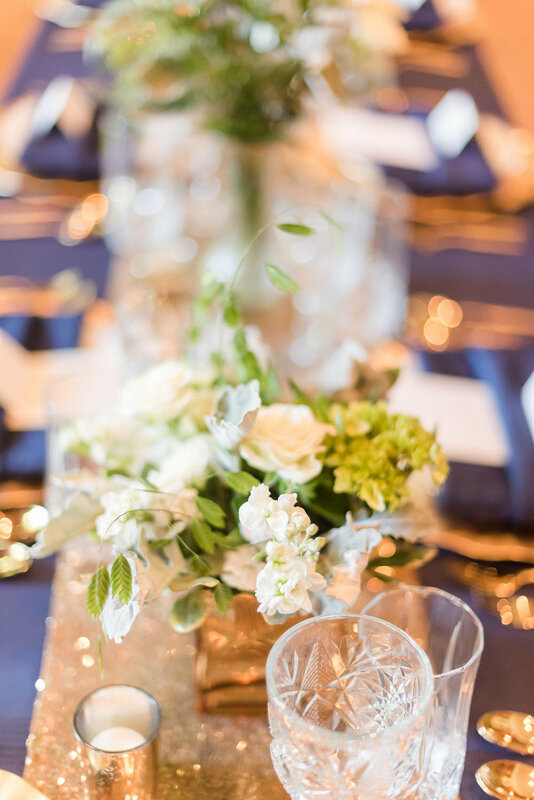 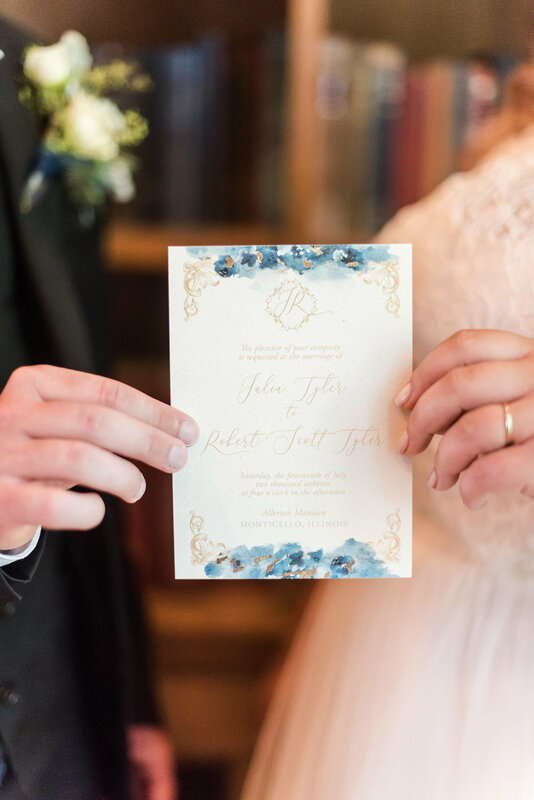 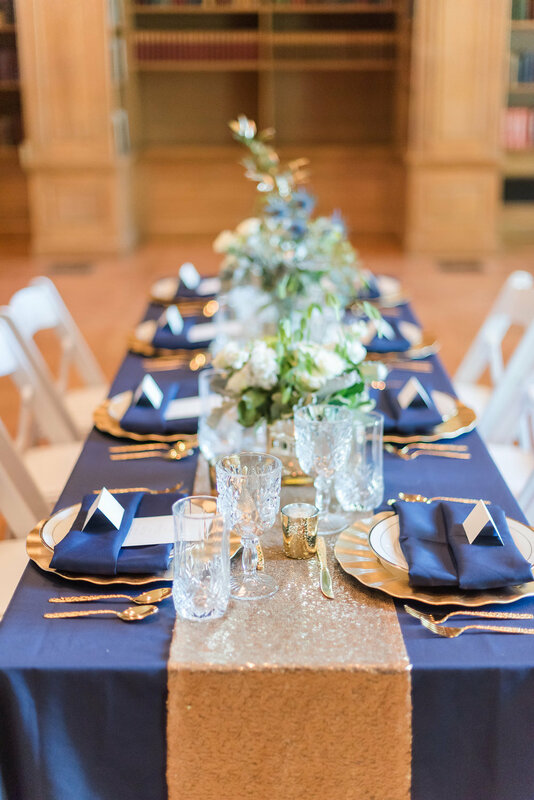 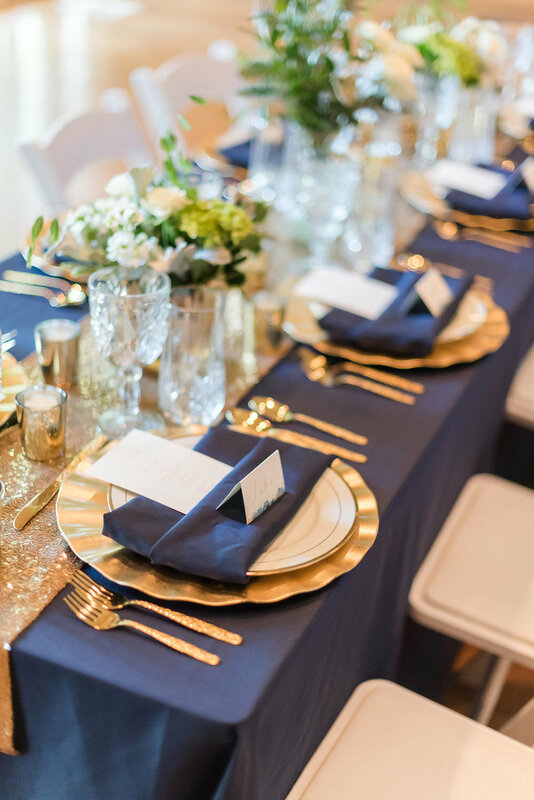 Keep scrolling for more navy and gold wedding inspiration at this gorgeous venue!